Now that we have established that there is no gain without pain, we also need to understand that there is always one exception to any rule. If you search hard enough, you will always find a loophole to any rule. There is no such thing as high returns without risk —Gerry Schwartz, the founder, chairman, and CEO of Onex Corporation. Now that we have established that there is no gain without pain, we also need to understand that there is always one exception to any rule. If you search hard enough, you will always find a loophole in any rule. Let’s look at the investments that could be a way out of the old adage higher risks for higher returns. Public Provident Fund or PPF is the safest long-term investment option in India. The average 10-year return for PPF has been more than 8%. Also, the returns are totally tax-free. The only downside is that the money gets locked for 15 years. The upside to this downside is that you can truly explore the potential of compounding interest from this account. If you want, you can also extend the timeframe for additional five years. Another drawback of PPF accounts is that you are only allowed to withdraw your investment after the end of 6th year. However, there is a counter to this disadvantage—you can take a loan on the balance of PPF account. Mutual funds are usually considered high risk and high returns. However, there is a mutual fund that is low on risks and could promise high returns. They are Liquid funds. The liquid is a variant of debt funds that invest only in short-term debt securities. The average 5-year return for Liquid Funds is 8.26% as on September 29, 2017. Of all the mutual funds, they are deemed to be the least risky. Also, they are highly liquid. Fixed Deposits (FDs) have always been the go-to investments for Indians. However, there is another investment option that is almost as safe as Bank FDs but definitely has higher returns than those by banks—Company FDs. Their interest rates are usually 1–3% higher than bank FD rates. However, before investing in company FDs, it is advisable that you verify the ratings of the company. Your worries would be at ease if you knew that you have an FD with an AAA-rated company. One downside of FD that you need to consider is the liquidity; premature withdrawals could attract a penalty. Many people are afraid of investing in equities and mutual funds. However, there is one investment avenue that invests in equity but is also favored by Indian investors: Unit-linked Insurance Plan (ULIP). They are insurance plans that invest in debt and equities markets.The returns are highly dependent on where you decide to invest. With accurate optimization, you can ensure that you get high returns. The bright side of this investment is that you will get the cover of insurance as well. Thus, you need not worry about the risks as the returns are promised not just by your investment in markets but also by the insurance cover. If you feel uncomfortable investing in mutual funds and equity markets, you can directly invest in bonds. 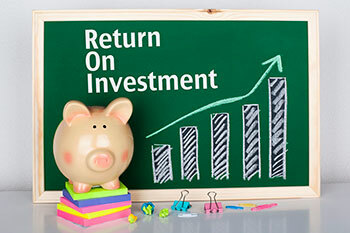 There are numerous good bonds that provide a high rate of return on investments. Also, there are bonds that are under the regulation of government and give you a sense of safety. The returns for these bonds are higher than those for savings accounts. No investment is with zero risks. However, there are investments that ensure minimal risks while promising potential for higher returns. There are other investment avenues, like gold, real estate and equities, which could help you get higher returns, albeit with slightly higher risks. However, to invest with low risk to get high returns, invest in any of the five aforementioned investment avenues.